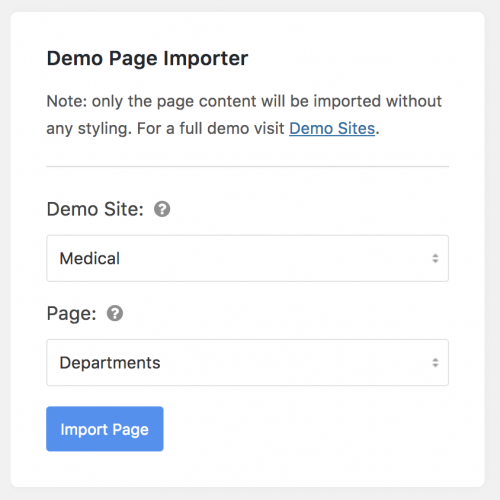 Besides from the brilliant full Demo Sites importer, with Engage you may also import individual pages from any demo using the Demo Pages feature. 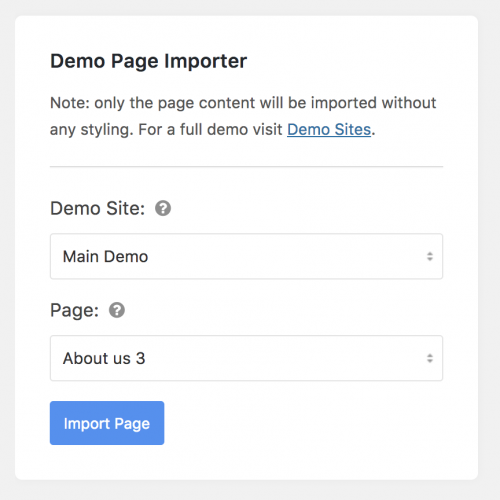 Just choose the Demo Site and pick the desired page that you would like to import – done! 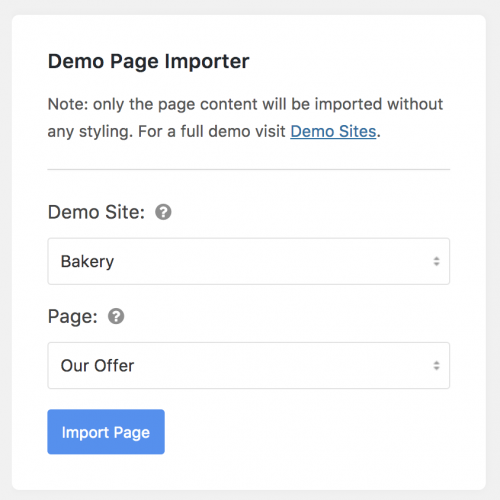 Only the page content and page settings will get imported and the general styling will be adjusted to suit your website. Brilliant!